The backbone of the Royal artillery had been, since 1940, the efficient quick-firing 25 pdr (87.6 mm/3.45 in) howitzer. But, in 1941, in the North African desert, a new, very mobile kind of warfare showed the importance of quick deployment of artillery, need to support the troops. 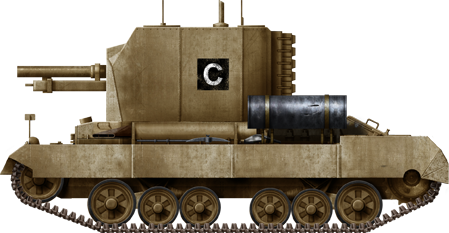 One solution for this, already well put in practice by the Afrika Korps, was the self-propelled gun solution. 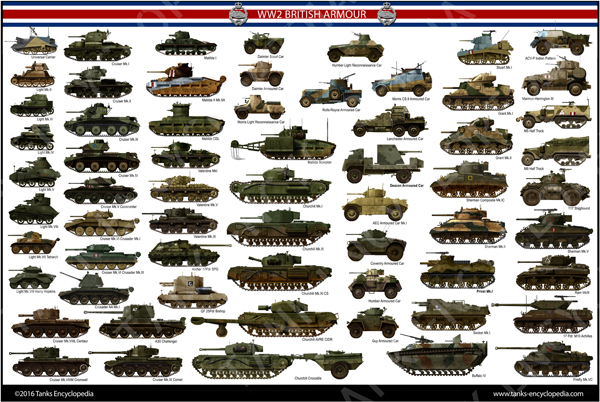 This led to a requirement for such a vehicle, armed with the aforementioned 25 pdr. In June 1941, the Birmingham Railway Carriage and Wagon Company won the bid, having to launch production in the shortest time, and presented a prototype in August. In November 1941, a first order of 100 was secured. 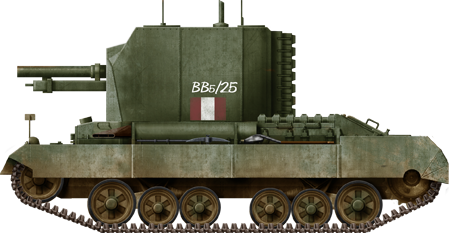 For the Royal Ordnance, it was known as the “Ordnance QF 25-pdr on Carrier Valentine 25-pdr Mk 1”, called the “Bishop” by the average infantryman, related to its high mitre-like boxy superstructure. In order to be ready in a timely fashion and at an affordable price, BRC wisely chose the Valentine II chassis and mounted a fixed boxy superstructure on top. Access was possible through large doors at the rear of this turret-like assembly. 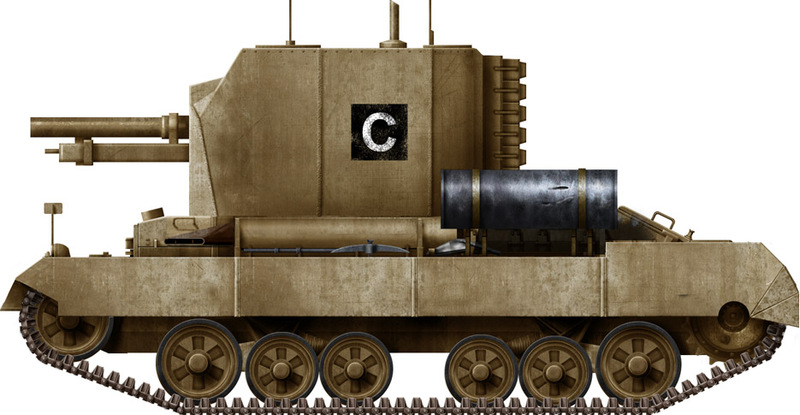 It housed the 25-pounder (87.6 mm/3.45 in) gun-howitzer and three of the crew, plus side ammunition racks. 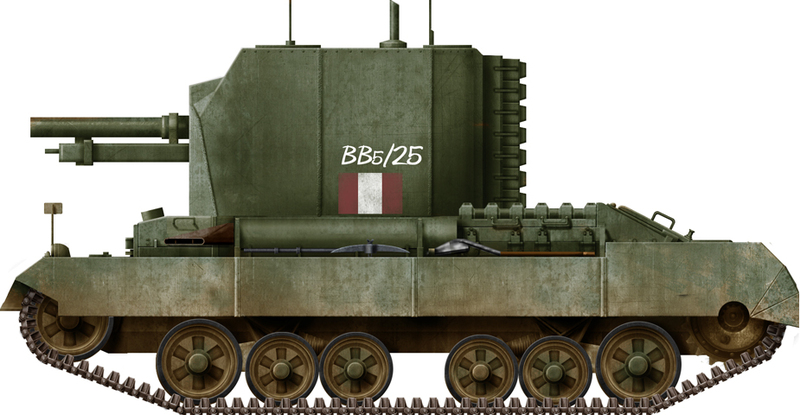 The Bishop had a very high silhouette and was much heavier than the original tank, stressing the suspension and chassis. Top speed was only 15 mph (24 km/h), due to a 7.4 hp/tonne power-to-weight ratio. Elevation for the gun was only 15 degrees with a 5-degree depression, reducing the range to about 6,400 yards (5,900 m), half of the original howitzer range. Traverse was 8 degrees in all. The secondary weapon was a loose Bren light machine gun for self-defense or AA defense. In July 1942, the first batch of 80 was delivered, then another two batches of 20 and 50, with an option for 200 more in early 1943. But as the new American M7 105 mm (4.13 in) SP gun “Priest” was made largely available to the British through Lend-Lease, this order was canceled, and the Bishop was gradually replaced and diluted in numbers. The first engagement came during the second battle of El Alamein. The Bishop soldiered for the whole North African campaign with the VIIIth Army in Tunisia, then in Sicily and Italy. 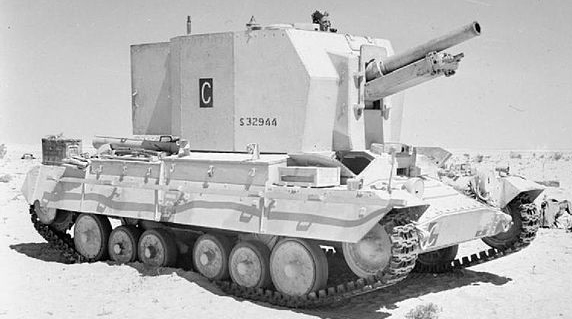 Ordnance QF 25 pdr on Carrier Valentine 25-pdr Mk 1 “Bishop” of the VIIIth Army, El Alamein, fall 1942. Bishop of the VIIIth Army in Southern Italy, February 1944. The 25 Pdr carrier Bishop in the North African desert in September, prior to the 2nd El Alamein battle. Despite its appearance, the superstructure didn’t rotate.